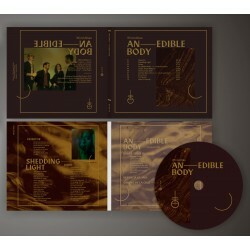 The album experiments not only with new sounds but also with new forms of speech. 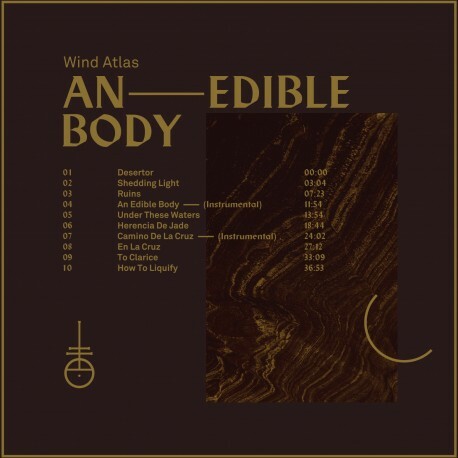 That’s why “Desertor"opens the album, a crude and simple song, in which the voice finds itself almost alone, in the aridity of a desert, threatened by a noise in the background. Interferences interrupt the words and the voice goes out of tune due to tape manipulation. That interference foretells what is to come, the anticipation of a new affirmation called "Shedding Light”. The drum machine blends with the acoustic drums and metal plates, the synthesizers stand out and the voice sings ironically to a new reality, built in a more assertive and cruder way than in previous albums. 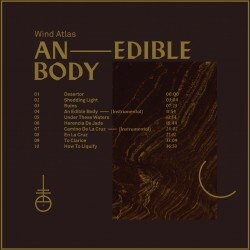 An Edible Body, el nuevo trabajo de Wind Atlas, marca un punto de inflexión en la trayectoria de la banda. (Cult of Youth, Psychic TV) en Queens,Nueva York.